It is sometimes difficult to determine from the outside, what a person ‘is.’ But this is true, when you know a person’s inner self, their conflicts, remorses and actions all hold meaning. You’re right – the “is” is internal. 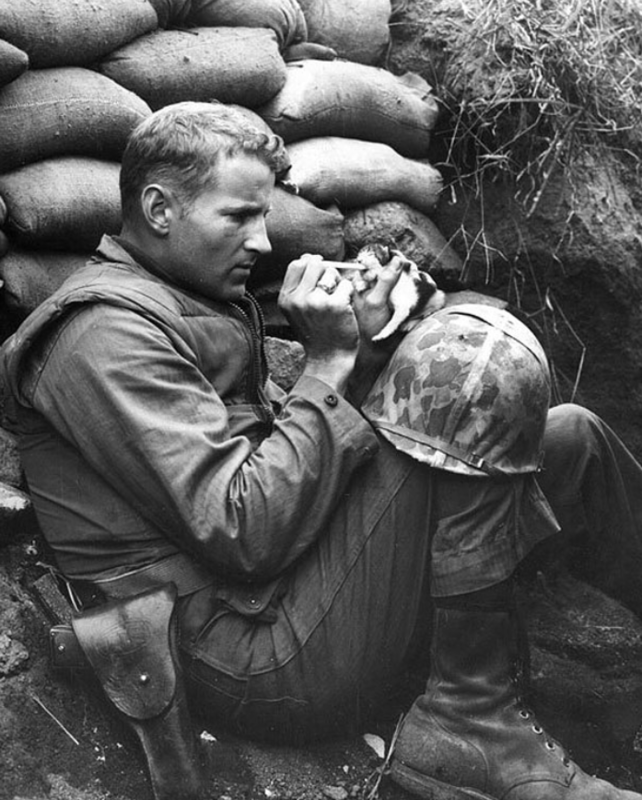 I had to look closely at the photo to see why you chose it and then I saw he is feeding a kitten. It is a great photo that shows the depth of a soul, despite one’s profession. Thanks for looking so carefully and knowing I do my best to match photos with quotes! Theresa blogged this in “Soul Gatherings”. Look closely at the photo, and be thankful for this man’s tender heart. Theresa! Thank you for visiting KenMaursCorner and my thanks again ,for making me more aware of Life.